Know What Is Covered Before A Hurricane Comes! Summer is here & so is Hurricane Season! If you live in a region that is affected by tropical storms like North & South Carolina, it is very important to know which Perils are covered. For example... damage to your house from wind is usually covered, but damage from Flooding is usually not. Please take time to review your coverage and remember once a storm makes landfall you can not make any changes to your policy. Plan ahead for the best protection and coverage. Call your local Allstate agent John Rose (800-772-1711) to review your coverage today! For an more in depth look at your "Perils" or covered events, please reach out to your local Allstate agent, John Rose at 704-366-7779. Are you and your partner looking to get married in 2018? While it is a joyous occasion, it is important to candidly discuss finances to avoid stress after "I Do". Here are some great tips from Allstate on how to set up a strong foundation for your relationship and joint finances. According to Forbes the #1 reason married couples fight is money. #2... are silly little annoying habits like the toilet seat. While the John Rose Agency and Allstate can't help you with those, we do have financial experts standing by to help you with your Marriage & Money questions. How well do you know your Allstate insurance agent? Have you reached out to your agent in the last year and made any important changes to your policy after the birth of a child, after an accident or an addition to a house or business? If you answered "no" to any of these questions, you could be in for a costly surprise when you need to file an insurance claim. It is so important to review an insurance policy—especially one you may not have looked at for quite some time on a regular basis. You wouldn't wait years to visit the doctor or take your auto in for a check up, would you?. Here is a great article highlighting some variables that will affect your premium and coverage. We would like to thank Lisa Ledbetter for her dedication to our staff and our customers. With 15 years on the front line, we are thankful for her service, friendship and insurance expertise. Here's A Quick Breakdown Of What Comprehensive Typically Covers And What It Does Not? For more information please call us today to discuss and review your current policy. What Does An Umbrella Policy Actually Do? We understand insurance can be complicated, we also know that your policy and coverage are not always top of mind. Do you need an Umbrella Policy? It's worth exploring with your agent. This picture helps understand the coverage better. A Huge Thank You To All Who Came Out To Participate In Our Customer Appreciation Event In February! Grant King Celebrates Five Years Of Service With The Agency! A Special Thank You And Happy 5th Anniversary With The John Rose Agency To Grant King! It’s back to school time, which means you might be coordinating multiple school schedules, including carpooling. 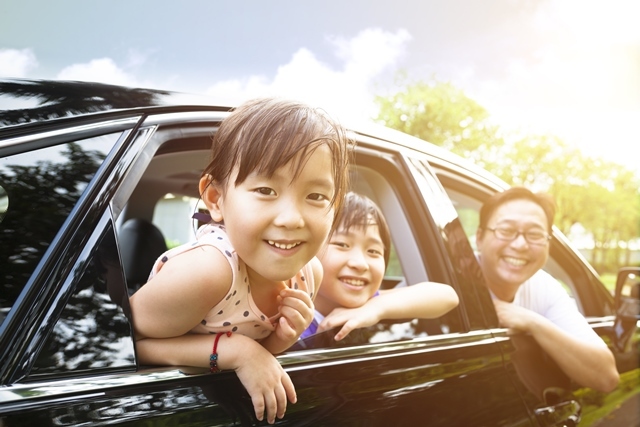 At the John Rose Agency, we think carpooling is an excellent way to save time, money, energy, and spend time with friends and other families. John Rose Agency is Taking Park in No-shave November for Charity! Join The Rose Insurance Agency in supporting the hairiest month of the year and health awareness! As part of our agency commitment to support meaningful organizations locally and globally, we have partnered with Impact Nica to make a difference in the lives of children. This means that we have donated 10 computers to a village in Nicaragua. These past 20 years have flown by, in large part because we’ve had so much fun and found so much enjoyment helping our customers protect the things that matter most.